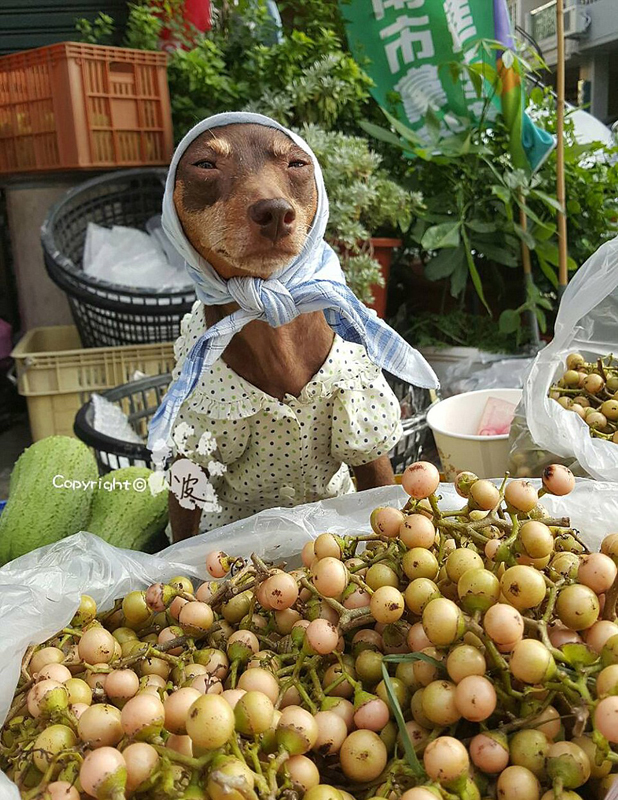 A dog from Taiwan has become the latest sensation across social media, wining people’s heart by posing as a model at a fruit stand in various cute styles.The dog, called Xiao Pi, is seven years old. The owner dressed it with different kinds of fruits and vegetables sold at the little stand, making it a walking advertisement.It wore wreath made of lychee and had curly “hair” made by bamboo shoots. Web users applauded the dog’s cuteness and obedience.